As operators seek to explore deeper reservoirs offshore, the operational requirements placed on current floating drilling vessels push them to and beyond their maximum safe operating design parameters. 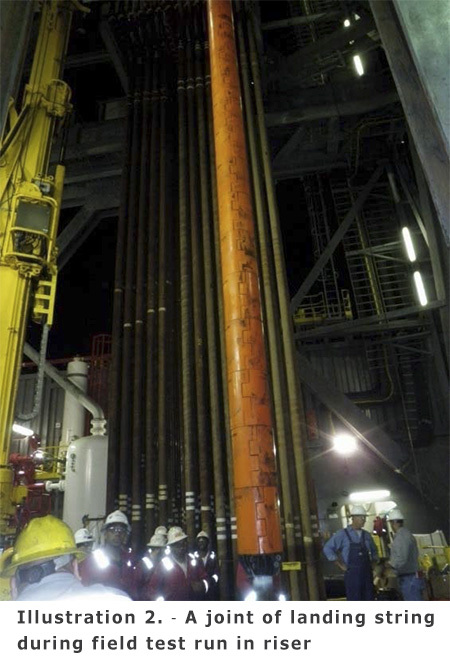 Complexities of deepwater well designs are driving contractors to increase their rig’s overall operating capabilities. As a consequence, the fleet of floating rigs with load handling capabilities and experienced staff necessary to achieve the operator’s objectives are limited and expensive. 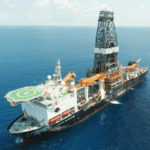 Ultra deepwater depths are exceeding 10,000 feet with wells reaching over 35,000 feet of total depth. Operators recognize the operational and design challenges associated with these complex wells and are aggressively seeking new technology and innovative methods of reducing the continuing cost increases associated with deepwater drilling/development wells. Run single long casing versus liner/tieback. Run longer, larger diameter/heavier wall casings. Extension of casing setting depth for higher fracture gradient. Preservation of an extended hole section and assist in landing delicate completion string / production assemblies. Additional Over‐pull margin or safe working margin. Utilization of the Landing Strings system will allow operators the flexibility to cost effectively utilize the available mobile offshore drilling unit (MODU) fleet to meet their desired project schedule. The system’s load reductions on the hoisting system reduce wear/tear thus minimizing the requirement for critical load system component inspections. The system’s basic design utilizes non‐metallic components and proprietary buoyant syntactic foam. 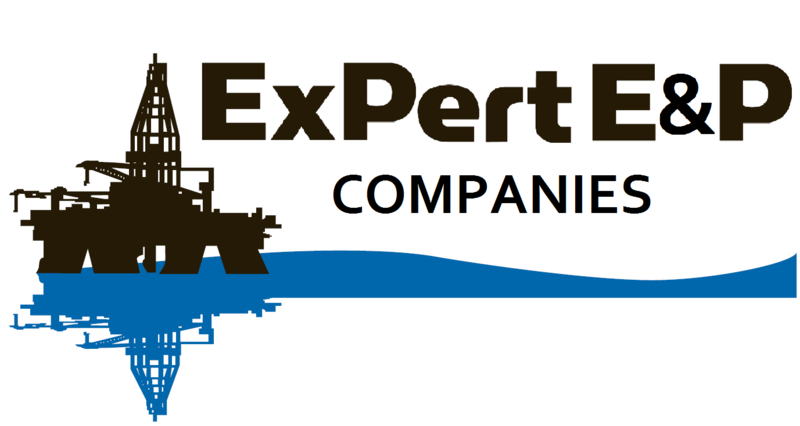 All system components are designed and qualified to withstand an extreme range of deepwater operational handling requirements, low/high temperature, wellbore contaminants/formation fluids (i.e. salt water/gas/oil) and hydrostatic pressure extremes while immersed for long periods in high density synthetic drilling fluids. This system is comprised of varying density and pressure rated buoyancy modules secured to the landing string utilizing proprietary non‐metallic fasteners. When immersed in the riser, buoyancy provided by the combined assembly of modules creates significant upward lift force, which significantly reduces hook load. 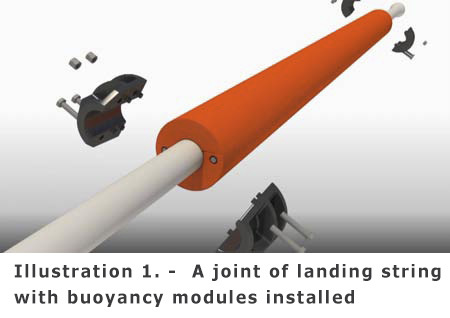 The installed position of the buoyancy module assembly on the tube of each landing string drill pipe is pre‐determined to insure that no interference exists that could interfere with handling of slips, drill pipe elevators and automated tool joint make‐up equipment (i.e. Iron Roughneck). (See Illustration 1). The modules consist of varying designed densities of syntactic material that is encapsulated in a highly durable/impermeable material. This design prevents invasion of well bore fluids and damage during handling and/or unlikely minimal side load impact with riser internal weld upsets. The patented Landing Strings Solutions technology/method was developed after extensive research, laboratory and field testing. 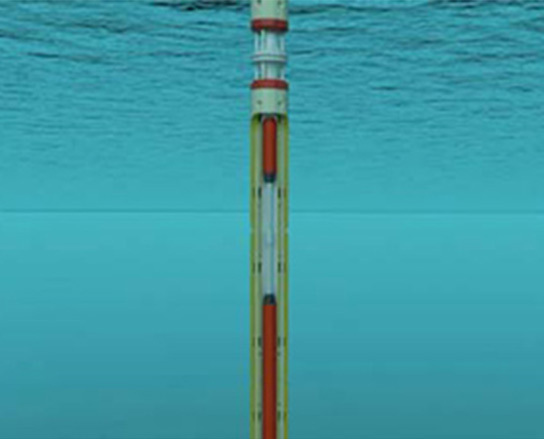 Open water and field trials were performed to develop the practical handling procedures on the rig for running this system (Illustration 2). This testing proved the operational practicality, viability and technical values of the system. The overall benefits of the system are extensive, ranging from enhanced operational safety to allowing more flexibility in well design and rig class utilization. The limits of where this technology can be utilized and its benefits to safety and well cost efficiency will continue to broaden. The Archimedes Principle provides the basis of the concept behind the Landing Strings system. Buoyancy modules affixed to the drill pipe landing string effectively reduce the overall hook load weight. The buoyancy modules are less dense than the well bore fluid they are displacing thus providing an effective uplift force. casings. To meet this requirement, the system utilizes all non‐metallic components and the latest technology in syntactic and composite materials. System service life is designed for a minimum of 10 years. This allows for resilient and durable components during multiple deployments. The system’s components satisfied strict quality assurance specifications. 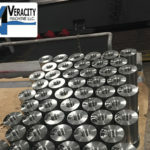 They are designed to withstand a wide range of temperature and pressure extremes in addition to harsh chemical resistance while being in a synthetic wellbore fluid environment. A very tough polyurethane coating encapsulates the syntactic foam to protect it from any potential damages during handling/deployments. Achieving high buoyancy lift potential was critical to justify the development/utilization of this technology. The amount of lift that can be achieved by this system is quite substantial and above early expectations. 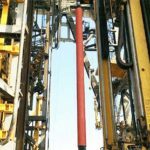 Most importantly, the effective reduction of extreme loads on a rig’s hoisting system greatly enhances operational safety while running heavy casing and/or tiebacks on subsea wells. When running heavy casing strings and landing strings combined, the resulting static and operating dynamic loads never should equal nor exceed a rig’s hoisting system. 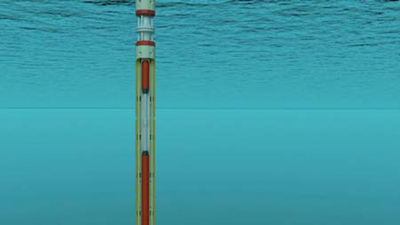 The utilization of the Landing Strings system may allow landing a long casing string in the subsea wellhead versus running a shorter casing string (liner) and subsequent tieback liner due to load limitations of a rig’s hoisting system. capability of a rig contractor’s fleet and reduces the Operator’s well cost. Reducing hook loads may decrease the frequency of detailed hoisting system inspections. The effective weight reduction of the Landing Strings system provides a cost effective and safe alternative to costly upgrading of a rig’s hoisting system. This system will increase the effective safe working load margin of all MODUs, thus enabling operators and contractors to safely and strategically utilize the inventory of rigs within their fleets. The potential of slip crushing due to heavy loading is another hazard that is reduced greatly by using this system. compensators. The chances of damaging this equipment is reduced during operations where heave is observed by using the motion compensator thus providing safer working conditions. 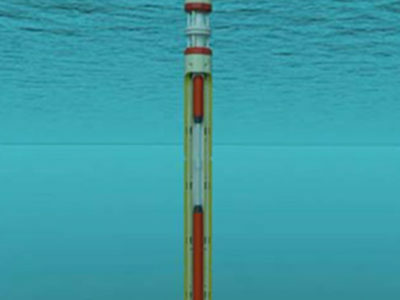 modern complex deepwater designed wells may be utilized now. The overall operational safety benefits alone justify its usage on all extreme casing load operations. The authors wish to thank the management of Trelleborg Offshore.